If you’ve been introduced to the world of Linux, it probably didn’t take too long to notice that it doesn’t have a single “face”. Linux can sport all kinds of desktop environments, or none at all. That alone is one of the great benefits of Linux among many more. But while that’s impressive, it leaves a very important question for you to decide: What desktop environment should you choose? 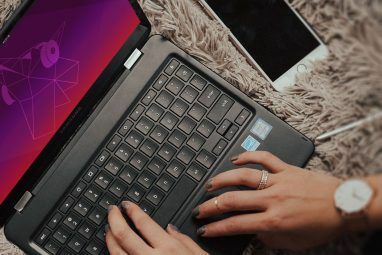 In this article, we’re going to break down what makes up each desktop environment so you will know what’s best for you and your system. Please note that the choice of Linux desktop environment shouldn’t affect the stability and structure of your system. That will depend more on which distribution you are using rather than the desktop environment itself. If you do have an unstable experience with a desktop environment, I would rather try the same environment on a different distribution before jumping ship. 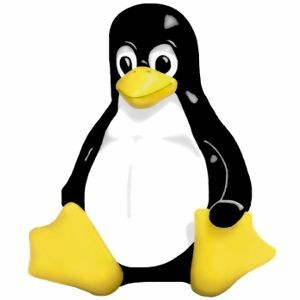 Also, you may do well to check out our awesome guide to Linux. GNOME is currently the most popular desktop environment, although those numbers have been slumping slightly since the release of GNOME Shell GNOME 3 Beta - Welcome To Your New Linux Desktop GNOME 3 Beta - Welcome To Your New Linux Desktop Read More (pictured above). It isn’t meant to be lightweight nor heavy and flashy, so most people can use it just fine. Its new design is supposed to reinvent the way one uses his/her computer, but that has been received with mixed opinions. I find it to be a good interface after you get used to it, but that may take some time. It is definitely not similar to the Windows user interface, so if you would like to find a more similar alternative GNOME may not be for you. 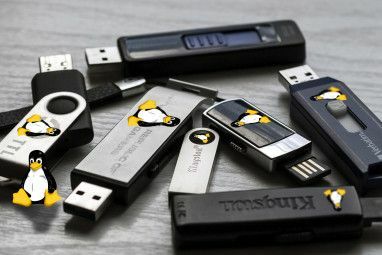 However, the GNOME environment offers plenty of popular applications by default, with many more that use its framework. You’ll find the most support for GNOME as well, considering its large userbase. Unity Ubuntu 11.04 Unity - A Big Leap Forward For Linux Ubuntu 11.04 Unity - A Big Leap Forward For Linux It's here. The newest version of Ubuntu sports an entirely new user interface: Unity. It also includes a much-improved Software Center, alongside the usual updates for the thousands of free programs Ubuntu offers. Canonical decided... Read More is an Ubuntu-only desktop environment that is based off of GNOME. Everything is the same as in GNOME except that the actual desktop looks different with a dock on the left side and a custom dash rather than the “Activities” screen. The rest of the experience is virtually identical. KDE is the second most popular desktop environment, and with good reason. KDE used to be the top dog “back in the day” before KDE 4 came out with a completely updated desktop. However that new desktop had many rough edges, and has taken a couple of releases to smooth them out. During that time, a good number of people switched to GNOME because it worked and was stable. But now, KDE is very stable and packs a powerful punch with the loads of features and desktop effects that it offers. Low-powered machines might have a hard time running KDE (especially with desktop effects enabled), but if you have a more powerful machine that can do more than just browse the web, you should be in good shape. By default, KDE offers some popular applications as well, though GNOME equivalents are slightly more popular (since more people use it). KDE also has its own framework for applications, so GNOME and KDE application don’t mix together perfectly (but still good enough, in my opinion). KDE also offers plenty of support through its large userbase. XFCE is the last of the big three, coming in as our “lightweight” alternative. And I put lightweight in quotes because it is not the lightest environment you can find (if you want to go as light as possible, don’t use a desktop environment). However, I like XFCE for a few reasons. First off, for a full-featured, traditional desktop environment, it is impressively lightweight, usually clocking in between 100-200 MB of total used memory, which includes the desktop environment as well as any system background processes. Second, XFCE is still visually appealing when compared to other lightweight environments. I usually find myself more productive when I’m not distracted by the ugliness of a desktop environment. Third, XFCE is more similar to the old GNOME before GNOME Shell came out, so XFCE is a good alternative to go to if you don’t like the new GNOME. Finally, XFCE uses the same application framework as GNOME, so you can easily install a GNOME application and have it seamlessly integrate into your desktop. 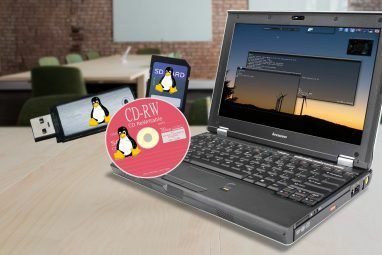 Of course, there are many more Linux desktop environments out there, but some are either similar to the three I mentioned above, or are too complicated for me to flat out recommend to people. In the end, it’s up to you to choose which desktop environment you’d like. If you’re not sure from just the descriptions above, it’s always best to try each one out and decide that way. No matter what you choose, you’re not making a bad decision because you choose what you want to use. That’s the beauty of it all. What desktop environment do you like? Why? Let us know in the comments! Explore more about: GNOME Shell, KDE, Linux Distro. As a Windows user, looking to switch to Linux, this article told me Nothing about the difference between these desktop environments. Is the only differenc appearance? While I've been advised by Linux users to download different distros and environments to a removable drive, and try them out (which is extremely time consuming), I find the first 2 I've looked at (Cinnamon and MATE) are not significantly different, from what I can tell. Maybe if I could actually use the operating system on the drive, I might eventually learn the difference. But since changes aren't written to the drive, I can't customize the system, so I can't learn much about it. All I can do is look at it, and so far, I don't get it. What the heck is the big deal about different environments? Agree. Let me add that LXDE has almost as many features as XFCE and only needs 128MB RAM. Neat! I've always though KDE 3 was left behind to die, completely forgotten. Unity. KDE is too resource hungry. justify and not any solid color boxes in background. I'm not a fan of using a tablet style desktop on a full computer so I've moved to Xfce (Xubuntu) and I am extremely happy with it. Is it just me, or does the Gnome stuff seem to be borrowing a lot from OSX. The application launcher is one of the few things I cant stand - searching for apps is so riduclously complicated. Shame they stole that and not a lot else. No, It's not just you. I used a Mac for years, and loved it (until it died). It is a pity that they decided to borrow the general look without the speed and stability. My white imac was a floor model at one pint, and grossly underpowered. A grand total of 256 MB RAM. Mostly ran like a charm. I've honestly gotten used to it, but I see your point. It does slightly make me want to ditch Linux and just get an actual Mac. KDE and Xfce would be preferable to ost of the windows users who want to shift to linux because it has almost same interface as that of Windows OS. As I've recently found out, the old GNOME has been revived under the MATE project. I'll probably find some time to write an article about MATE soon. Maybe I will try it out, as I've never been impressed with LXDE's looks. Whoops! Every other DE has all caps so I must've applied it to all of them. Thanks for reminding me! I personally don't like either Gnome Shell or Unity. I hated KDE's slowness on my respectable PC (3GB Ram, 2.3 Ghz processor), and never really looked at XFCE. Arch Linux and ratpoison forever! I'm with you. I LOVED Ubuntu until they came out with Unity. I'm trying to learn Linux well enough so I can use Arch-that's my goal. Arch isn't really that bad, provided you read the wiki and beginners guide VERY carefully. I would also highly recommend learning either vi/vim or emacs. You will be doing lots of text editing. Ubuntu used to run like butter for me. However, 10.10 was the last good release (IMO), Fedora is slowly moving towards workstations and away from desktops, openSUSE has never caught on with me, and Arch is now a bit confusing to configure with the updates to the installer and the new packages. I feel like I need to rethink my Linux setup. Arch is the way to understand how linux works, its so easy to learn since the documentation is quite prolific and the formus are the place where one can come clean with any question. After using arch I find more complicated and tiresome to navigate endless and some times confusing GUI's just to so so configure my computer to my likes & needs. Its no difficult at all people KISS is the way, Arch is the way. I recall reading that KDE 4 has improved speed-wise a lot in the last year, but my experience is that it runs at different speeds on different distros. My laptop's a 32-bit 1.6GHz w/1GB of RAM -- under a distro like SimplyMepis that defaults to a fairly plain KDE install, it runs as fast as a "lightweight" environment, especially if I disable junk I don't need like the hard-drive indexer. In my own experience, Arch's KDE seemed to be the fastest. Then came Fedora, then Kubuntu, and last openSUSE. Yes, KDE 4 has made massive improvements over recent time, but it still has a ways to go until perfection. At least they have the idea right. They just have to code it right now. Great article! I already googled this subject a couple of times, because I really want to switch to linux. But the overload on info made it kind of difficult for me to choose. Linux is a big, but attractive world and all unknown to me. It's wonderful that I find what I need in a clear, simple but excellent article on my favorite website, a couple of days later. Thanks! For me? XFCE it will be! Why not something fancier like Gnome? I like gnome3 lot, just 2-3 thing need be work out. like: bottom visibility or doc visibility while working. rest of the thing are cool fast app search. I feel gnome 3 is faster than kde 4.7. Well yes. A lot of things need to be polished, many aren't implemented yet, but I have this feeling about the Gnome Team: they're working. I like it when developers are active, when they have mock ups on their site and planned releases. Historically GNOME has always been faster than KDE. GNOME 3 just catches up somewhat in the aesthetics department, although KDE is still king for now.